Foot & Ankle Surgery FAQ | Northwest Extremity Specialists, LLC When is surgery necessary for foot pain? Whenever possible, the Northwest Extremity Specialists prefer to use non-invasive treatment methods to alleviate your foot pain. We have invested in advanced conservative therapies, including regenerative medicine, that have proven effective at healing injuries that otherwise may have required surgery. However, sometimes surgical treatment is necessary in order to correct a problem that cannot be fixed in any other way. 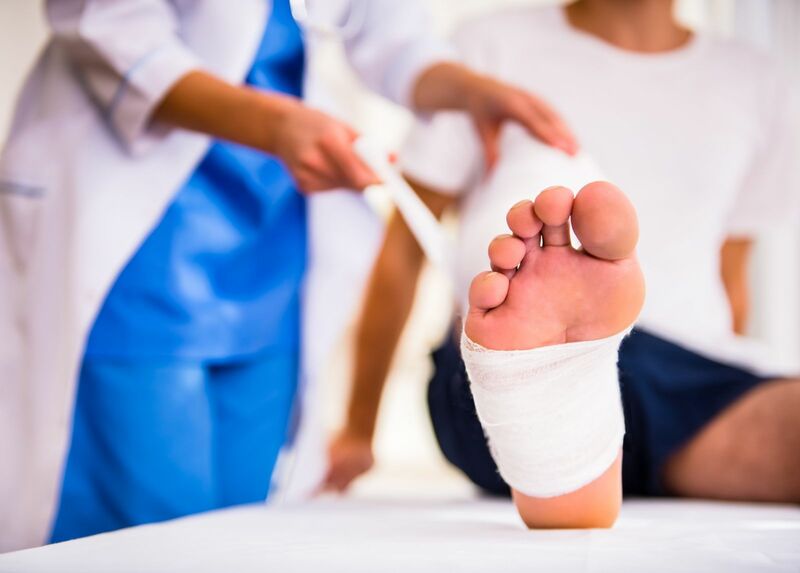 For some severe injuries, like an unstable bone fracture, surgery is the only realistic treatment option. For other painful conditions, surgery may be considered only after appropriate conservative treatments have been attempted without success. For example, the pain from progressive foot deformities such as bunions and hammertoes can often be remedied non-surgically in the early stages. However, once the deformity has reached a certain point in its development, surgical reconstruction might be required. At Northwest Extremity Specialists, our physicians are proud to offer an array of advanced treatment options. We will always review your options carefully and closely before recommending the most effective care plan for your situation. To schedule an appointment, contact the Portland-area office closest to you.